The Passive House Academy from Brooklyn, NY is offering Certified Passive House Consultant & Designer Course! This seven-day course is aimed at ALL Building Professionals including Architects, Engineers, Contractors and Builders. The robust curriculum will include lectures by leading Passive House experts, group design and calculation exercises, workshops, and tours of passive homes. Upon successfully passing of the exam, all participants will receive the internationally recognized accreditation of 'Certified Passive House Consultant/Designer' and all member AIA architects will receive 45 Learning Unites and 28 BPI continuing ed credits (CEU's). What: Convergence XV is a conference about real system change: how to build new fields of activity, to shift the flows of capital, to rejigger the power structures of our economy. The gathering will give you structured time and space to think about the impact of your work and to push the broader questions of changing the rules of the game. In March, the people who are working to change the systems that define how our economies and markets work will come together for the first time. You want to transform finance? Restructure supply chains? Catalyze local market ecosystems? Cool. This will be a room full of leaders asking the same questions and sharing lessons learned. We system-shapers will not complain about all the things that we wish were different. We will work on HOW to change market systems for good. Criterion designs the conference based on who registers. No speakers, no workshops. We interview you once you register and ask you what you are thinking about, working on and then design a series of intentional conversation with leaders thinking about the same things. It’s our fifteenth time running this kind of conference - It works. Summit participants will hear from Bill Nesper, Vice President, League of American Bicyclists, about the Bike Friendly America program and from Keynote Speaker Jeff Olson, Principal, Alta Planning & Design, author "The Third Mode: Towards a Green Society." The summit will include breakout sessions on "Attacking the Application Process for Bike Friendly Communities, Businesses and Universities;" "Complete Streets Engineering - A Key Component to Bike and Walk Friendly Communities;" and "How to Get Your Project Funded." The program will conclude with optional bike or walk tours of New Haven courtesy of Elm City Cycling, followed by a networking and social hour at O'Toole's. Copies of The Third Mode will be available for purchase at the conference. Attendees who join Bike Walk CT will be awarded $10 off of their individual registration, registration ends April 15th. *Continental breakfast and lunch included. Today’s Headline News reported Illinois school districts were considering a four-day school week. This was a move, in part, to save money for some starving school budgets. But, it was also stated that there would be a side benefit to one less day for school children: Energy savings. According to the U.S. Department of Energy (U.S. DOE) and their EnergySmart program, schools spend more of their budget on energy costs than any other expense besides personnel. They estimate that the average school district spends $175 per student on energy costs per year. By being more energy-efficient, a school can cut its costs by as much as 30%. Can cutting one day a week serve that purpose, or present more problems? The U.S. DOE will tell you that energy is one of the few expenses a school can reduce without sacrificing educational quality. The sad thing is, most school officials don’t realize that. Making energy-efficient choices in lighting, heating, and water usage can go a long way. More to the point, schools that are energy efficient can use that to their advantage as a teaching tool. What better way to build future environmentalists than to start their learning process in an environmentally friendly school? Getting from Point A to Point B may be a little greener these days for some schools and universities. Hybrid buses are being used for transportation here in Connecticut and as far away as Wyoming. According to IC Bus, an Illinois-based subsidiary of Navistar, Inc., the largest manufacturer of school buses in the country, the average school bus uses over 1,700 gallons of fuel annually. The average hybrid, however, uses less than half that at 600 gallons. The hybrid buses also reduce emissions up to 40%. Here are some other amazing statistics IC Bus would like you to know: The daily fuel cost of transporting a child to school by private vehicle costs $3.68 while the same child taking the bus only costs 73 cents; One school bus has the capacity to take 36 cars off the road, with a total of 17.3 million cars every year; If 10% more children rode the bus, another 300 million gallons of fuel would be saved annually. These quick, little facts may not pop into your head when you see a big yellow bus belching exhaust in front of you at the stoplight. But many school officials are seeing buses as a way to be greener and cleaner. Earlier this month, West Hartford’s Conard High School won the praise—and the People’s Choice Award—from Connecticut Light & Power for their video and essay submitted to the Live Green—Win Green contest. The contest is meant to be a venue for students to explore sustainable and environmental projects that could create revenue for their school. Students were also encouraged to think of ways their school could be greener in the future. On Tuesday, Fairfield University’s Jesuits proudly displayed their new pad. It is a space that is simultaneously a residence, a community center, and a tribute to the environment. Designed by New Haven architecture firm Gray Organschi, the building is constructed from metal, wood, glass and concrete. Much of the material is either recycled or sustainable. The design team, married couple Elizabeth Gray and Alan Organschi, worked for several months with the school’s Jesuit staff to create a place that met their needs and reflected modern ideals. The two-story, 22,000 square foot residence boasts a closed loop geothermal heating and cooling system 400 feet underground, a roof garden that can absorb up to 95% of rainfall, and sustainable bamboo flooring. But that’s not the coolest part. None of the surrounding trees were disturbed in construction, save one diseased and dying beech tree. Instead of scrapping it, the tree was locally milled and a good portion of it is hanging in the Great Room. If They're Always Sad, Who Cares When Authors Speak of Food? I realize that the v ery title of my article this week may be an open invitation for the snarky reader who may want to take the cheap shot for the clear path to the ironic it leaves open. You know what? Go ahead. After the past couple days, I think food writers may deserve it every now and then…especially novelists. This past Monday at the Instituto de Cervantes in New York City Four European writers: Christoph Peters (Germany), Agnès Desarthe (France), Jesús Ruiz Mantilla (Spain) and Clara Sereni (Italy) came together for an evening of readings and discussion called "Eat Your Words: When Authors Speak of Food", moderated by highly acclaimed American writer Mark Kurlansky, a guy who has written a lot of books I won’t bother to name aside from Salt. Being someone who writes about food (and who lives a scant two hours from NYC) I thought I would go. Besides the lovely wine and passed hors d’oeuvres that were served in the garden and the Spanish government’s gorgeous real estate on 49th and 3rd, the event did next to nothing to inspire me, let alone inspire me to buy anyone’s book. It turns out these ‘paperback writers’ are based more on Proust than Lear, and that, in the opinion of this writer, is not a good thing. Many of the farms in this state have been sold off to build housing developments. Some farms that are hundreds of years old have fallow fields from lack of use. Then there are the farms that serve a greater purpose: Educating our children. Ambler Farm in Wilton is one of them. For the last few years, their educational programs for elementary and middle school children have grown. Ann Bell, President of the Friends of Ambler Farm, an organization that supports the farm and its historic buildings, said these kids are getting the full farm experience. They are taught how to run a farm from collecting eggs to gardening organically to learning how to cook with the food they grow. Since the Town of Wilton purchased the land in 1999 after the death of Betty Ambler, the last original owner, Bell said there has been great support in making the farm a big part of the community. Not only do they have an ongoing partnership with the school system, but they also sell their fresh produce and maple syrup at their own farm stand as well as at the town’s farmers’ market. Next Sunday, they will have Ambler Farm Day with hayrides and pumpkin tossing. Other farms in the state have also turned to education as a way to stay a vibrant part of their communities. There is Terra Firma Farm in Stonington, New Pond Farm in West Redding, and Auer Farm in Bloomfield. Each of them has their own educational programs for school-aged children to teach them about life on a farm. From math to science to art, there’s something for everyone. Bees have been seein' red these days. Well, actually they can't see the color red, Ted Jones explains, they only see black. But they have been getting pretty ornery from all the rain here in Connecticut. While picking up some eggs, I had the pleasure of running into Ted, expert bee-wrangler, owner of Jones’ Apiaries in Farmington, Connecticut, and president of Connecticut Beekeepers who was at Hard Rain Farm in Burlington with his son to smoke out some bees. Hard Rain Farm rents 10 of his hives to pollinate the myriad of apples, kale, eggplant, herbs and other vegetables and fruits that grow on the 4 acres of well managed farmland. Today, father and son were out to collect the honey. A thunderstorm had just come through and the sky was bluish-black. Tom eyed the sky and held out his hand for rain, not a welcome thing for bees. 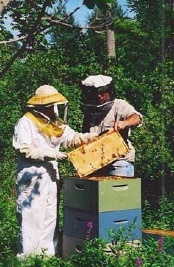 “Bees don’t like the rain too much, it’s best to stay away from them.” That’s why Ted was sending in his son to check on the hives. His son, dutifully suited up for what looked like a trip to the moon, had a long-nosed smoker by his side. The smoke apparently sedates the bees and reduces the chance of being stung. Ted explained that a bee’s behavior is triggered by pheromones, or rather, chemical signals which then elicit a response from the bee, a response like stinging for example. “Another thing is, you don’t ever want to go near a beehive with a banana, you know,” says Ted dryly, as if there was a punch line coming. The only punch line is for the poor sucker who peels one back while standing in front of a hive - even one lone bee can wreak havoc. Bananas have an aroma which set off the alarm response and can cause quite a stir of stingers directed at said banana holder. “It could be ugly,” he grimaced. The Watkinson School in Hartford, the city’s only independent school founded in 1881, had a ground-breaking for their net-zero science facility on May 27th. San Francisco-based Project FROG designed the school’s Center for Science and Global Citizenship. This school building will be the first of its kind in New England. The construction date is scheduled for next week. “The building [will be] as smart as the students and teachers in it,” said John Bracker, Watkinson’s Head of School. Some of the key elements in the design are a geothermal heating and cooling system as well as solar panels. Large glass windows will be incorporated into the design to trap in heat in the winter and block it out in the summer. The windows will also provide lots of natural light to cut down on electricity costs. Bracker said that the school looked into updating its science building about five years ago. But conventional methods were too expensive. When the concept of going green for less money came up, the Board of Trustees gave the go-ahead. “This will not only augment the way we teach but change the way we teach. The building will be as much a part of the curriculum as any other teaching tools,” said Bracker. In other words, in order for the school to teach about sustainability they have to be sustainable. The Lyme-Old Lyme Middle School (LOLMS) was recently acknowledged for their green initiatives in the School of Future Design Competition. On May 1st, the National Association of Realtors (NAR) and the Council of Education Facility Planners International Foundation (CEFPI) sponsored the event as well as the U.S. Department of Energy, the U.S. Environmental Protection Agency, the American Institute of Architects along with over 30 associations and private companies. They announced the winners of the competition, which kicks off at the beginning of the school year, in Washington, D.C.
Students from across the country participated in the competition. Given the task to redesign their school in an environmentally friendly way, they were judged on sustainability, technology and community involvement in their projects. The event was part of School Building Week from April 27th through May 1st. "Successful schools build successful communities." said Sue Robertson, CEFPI president in the company’s press release dated the last day of the competition. "Today's students, tomorrow's green builders, are committed to creating healthy, high performing schools and communities. Let's supply them with all the tools they need to improve the places where children learn. And then, let's really listen to them—because they have some really good ideas!" I was recruited by MomCentral.com to take part in their blog tours, when the subject was appropriate for my blogs. I have two blogs -- Letters from a Small State, which reflects on my life in Connecticut, and Honk if You Compost, my eco-humor blog. I am on a mission with these tours: to write great reviews and thoughtful pieces for whatever I sign on to. I take the job seriously, even if the pay isn't much. Recently I committed to review Clorox's Green Works Natural Biodegradable Cleaning Wipes. I am seriously curious about this brand-- I particularly wanted see if Clorox could sell me on this disposable product. They didn't ... the wipes, although compostable weren't amazingly useful enough to make them worth adding to the cleaning products that are tried and truly low-impact. Curiously, my negative eco-humor-review was not too overly adored by the MomCentral crew-- I was asked if I didn't want to tone it down just a little bit? This has indicated to me what I have been suspecting about this far-reaching and influential website (and others like it): online reviews can often be more about promoting products than they are about giving serious consideration to the product and its impact on the audience. In the case of MomCentral, I fear this may be the case. It is certainly true that with online writing, the lines between advertising and editorial are gone. As is illustrated by contextual advertising (ie. Adsense), where once there was a firm division between the ad and the ed, we now decide precisely what we advertise based on the page content. The result? The more niche reporting becomes, the more difficult it becomes to evaluate the credibility, objectivity and even the usefulness of information we find online. Everyone has an opinion--and that opinion is backed by an agenda that becomes more and more hidden. I have one recommendation, and that is awareness. For more information about how to evaluate what you read on the web, have a look here. Submit Comments for Healthy School Lunches by 10/15! My last post, before the haze of a holiday weekend set in, focused on the reauthorization of The Child Nutrition Act in 2009. I asked readers to comment on the USDA's public comment website to make their voices heard. We want fresh fruits and vegetables! We want increased funding! We want standards for "snack line" foods! And, then I got to thinking. I asked all of you to comment, I commented, but then I stopped there. Today, energized by a sunny holiday weekend spent with my children, I realized I could do more. Did you comment? Do you want to take it a step further? To quote someone very politically relevant - YES, I CAN! Today I wrote a letter to every member of the school board as well as my children's school principals and some powerful PTA women that I know that can really get the job done. It was so simple and so quick. Visit your school's website, scout out the email addresses and type a quick letter. No time to write the letter? Here - take mine! Just don't tell the kids how quick and easy plagiarism can be! The Child Nutrition Act - a major piece of federal legislation that helps determine school food policy and resources – will begin reauthorization in 2009. Amazingly, this act has been unchanged since the 1960's and besides being outdated, it doesn't address many issues facing students today, such as: obesity, diabetes, cholesterol levels, allergies, working parent households, religous beliefs and many other factors not present in the 1960's. In addition, the current act doesn't contain any standards for so-called "snack-line" foods such as brand name items, fast food chain selections, sodas and marketing gimmicks. The good news is the USDA and the government are accepting the public's comments on the reauthorization of this act, but the comment period ends very soon - October 15, 2008. I understand this email is reaching you during the busiest time, right at the beginning of a new school year. However, I am only asking for a moment of your time to pass the word along to your fellow colleagues, the schools and their PTAs and the food service department. Increase funding for school meals and provide incentives for schools to offer healthier foods. Increase access to fresh fruits and vegetables. Improve nutrition standards for school meals so they align with the most recent dietary guidelines. Establish standards for food sold in schools outside of the school meals programs such as that sold at snack bars and cafeteria a la carte lines. 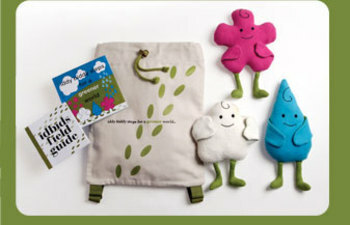 Not only can you live greener, but you can also teach your children to lead more ecologically friendly lives with the new toy Idbids. The name is a play on the words iddy biddy, or rather small. Idbids is located in Atlanta, but the toys can be purchased online and delivered to people in CT or NY as well as the rest of the United States. The toys were debuted in New York City during the 2008 toy fair. Back to a Greener School! Most of you teachers are gearing up for the school year and getting the classroom ready and we've come up with 50 different ways to go green in your classroom. Parents, teachers are always looking for great ideas, so read on! Send efaxes: For permission slips and progress reports, send out electronic faxes that don’t require extra paper or electricity. WINDSOR - Of the nearly dozen individuals, including Stamford Mayor Dannel Malloy, the state honored yesterday for helping the environment, two were barely tall enough to peer over the podium to deliver acceptance speeches. Two Wilton boys, Jordan Reichgut, 10, and Alex Scaperotta, who told the crowd he is almost 10, were presented with leadership awards by the Governor's Steering Committee on Climate Change. The third annual ceremony was hosted at the Windsor offices of ING Financial Services, honored for its green architecture and conservation initiatives that include urging workers to use coffee mugs at work and recycle office supplies and paper. When they were 8, Jordan and Alex and their parents founded Little People, Big Changes, a club that encouraged 120 Wilton households to sign up for the state's Clean Energy Options program. The program allows customers of Connecticut Light & Power and United Illuminating to pay a voluntary clean energy surcharge to help fund wind, hydroelectric and landfill gas projects that contribute to the nation's electric grid. Anne George, commissioner of the state Department of Public Utility Control, presented the boys with their award, saying the state has many programs to help residents conserve energy and it is important to spread the word. George said state officials launched Clean Energy Options with trepidation, knowing Connecticut residents pay high utility costs. "I can only hope my children start taking on some of the activities Alex and Jordan have," George said. "When I was 8 years old, I was just running around the neighborhood, playing." The boys also launched a "no idling" campaign in Wilton to reduce auto emissions and have made several presentations to schoolchildren and officials. Help the Planet and Our Students: Recycle Your Cellphones! The average lifespan, in months, of a cell phone in the US, according to Earthworks' Recycle My Cell Phone. 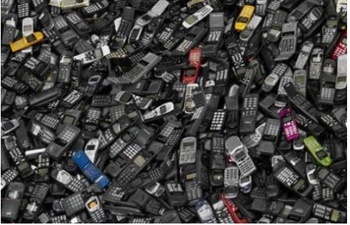 At that rate, 130 million cell phones are added to the waste stream in the US every year. Worldwide, according to CNN (and noted here on TreeHugger), global mobile phone use will top 3.25 billion users in 2007. Yikes. Well, here in Connecticut...you can do something! During the month of May (and year-round for those of you who are interested), The Metropolitan Learning Center Class of 2013 is sponsoring a collection of old and/or unused cell phones for recycling through Phoneraiser. Cell phones may be dropped off at MLC, located at 1551 Blue Hills Avenue, Bloomfield, CT. Cell phones can also be given to any MLC student from Bloomfield, East Windsor, Enfield, Hartford, Windsor and Windsor Locks. To arrange a collection box for your company/office or for pick-up of large quantity donations, call 7th grade parent representative Laurie Prouty at (860) 212-2383 or email MLCclassof2013@aol.com. If you do a couple of Internet searches, (Eco-Town and Greensburg) you'll see that a small town in America's Heartland, Greensburg Kansas, is getting a whole lot of attention. That's exactly what they need, since the tornado that strolled down Main Street, destroyed more than 80 percent of the city's infrastructure. My own involvements with the community began some weeks ago when a close friend of mine, Bill Thomas of Green Home Solutions rang me up in the middle of the night and said, “I had a dream, and you and I are going to go spend a week in Kansas helping the people of Greensburg rebuild their town.” My first thought was, “Why Greensburg?” I mean any town or city devastated by a natural disaster deserves all the help we can give them--but too often there just does not seem to be enough help to go around, with the best known example being New Orleans, and the Ninth Ward--so why Greensburg? 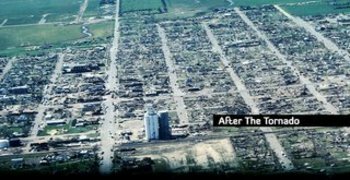 All communities ravished by natural disasters deserve attention, and a growing group of us here on the East Coast have recently formed a new organization aimed at helping Greensburg, and other communities recovering from natural disasters to not only recover, but to re-build using green building materials, to rebuild a more eco-friendly sustainable community. Green Helping Hands will help get GreenTown what it needs. The town and GreenTown want to build an eco village with six green homes cited in the village, another six built at other locations throughout the town, thus creating a real life model of sustainable green living that others can visit and study, which in turn will create eco-tourism for this small rural community. So far, Green Helping Hands has the attention of GEM motorcars, manufactured by Chrysler, and McGraw Hill Publishing. We are also raising donations of green building products, books for the new library, and more. Green Helping Hands has proposed to have a competition wherein the best architectures in the world could compete to have their plan chosen for these green home builds. The idea has been well received, so stay tuned or better yet, come and join us! Something's happened to Connecticut's venerable environmental groups. They're aging, often dominated by members and leaders well into their 50s and beyond. Greens gone gray. It has them worried. 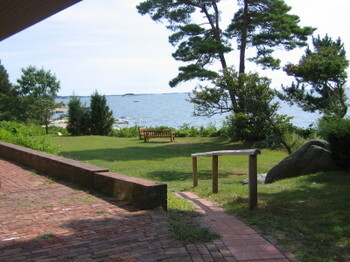 "The environmental community must make room for younger, more creative and less bureaucratic individuals who will stick their neck out on important issues and who will have the energy and expertise to galvanize the public into action," said Allan Williams of West Hartford, a longtime environmental activist and member of the Sierra Club. Fearful of a loss of relevance, concerned they might lose influence in shaping state policy, long-established groups like the Connecticut Audubon, the Connecticut chapter of the Sierra Club and the Connecticut Forest & Park Association are now reaching out to attract younger members, employees and board members. "We certainly do want to attract younger people," said Adam R. Moore, executive director of the forest and park group. "We've been working on that, just like every environmental group has been." An important omission has been made from this article in The New York Times--Remy Chevalier, whose name is not mentioned, has been instrumental in the creation and growth of Fairfield County GreenDrinks, particularly concerning the funky and fun event last month at Pirate. The omission was unintentional, and not performed by the writer and photographer who covered the story. Hi. Buy You a Drink? Save the Planet? IT was a typical pub scene at the Pirate Night Club and Restaurant in Norwalk on a recent evening, except that the banter around the bar was about bamboo, not baseball, and the drinks were green in the organic sense. “The environment is on a lot of people’s minds,” said Heather Burns-DeMelo, 37, the founder of Fairfield County Green Drinks, a social networking group of eco-minded professionals, which held its fourth monthly meeting here on a recent Wednesday evening. On this occasion, the mixer drew about 100 people, uniting a wide range of environmentalists, including business executives, members of the Green Party, carpenters, chefs, makeup artists, architects, fashion designers and schoolteachers. Ms. Burns-DeMelo, the editor of the Hartford-based AllGreen Magazine and the Web site CTGreenScene.typepad.com, said she learned about Green Drinks International when she was working as a freelance writer covering environmental issues. Wake Up. Work. Go to GreenDrinks. Thanks to everyone for a GREAT January GreenDrinks at Pirate! We'll see you all next month at the Westport Arts Center. Renowned chef and author Michel Nischan will speak about sustainability in Connecticut. Enjoy tasty treats by The Mindful Chef. Admission: $15. Space is limited; please RSVP. Contact Rivers Alliance at 860-361-9349 or visit riversalliance.org for more information.